A woman suffers from amnesia and is forced to find out who she really is. A lonely boy being raised by his aunt creates an imaginary friend to keep him company. Unbeknownst to him, his aunt can see his friend, and a romance blossoms between the two. In a society where "flawed" individuals are branded with an "F" tattoo, a young woman unwittingly sets off a rebellion. 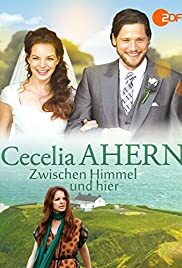 After her husband leaves her, Franziska has to travel to her cousin's wedding in Ireland on her own. When she gets hold of a magical book with a cover that changes every so often, she is convinced that she must reunite another split up couple before she herself can be happily reunited with her husband. However, when she has managed to bring Adam and his ex-girlfriend back together, it becomes clear that for herself true love can be found where she did not expect it.